When you want to write a story, you need to understand grammar. When you want to cook a meal, you need to understand ingredients. When you want to build technology, you need to understand programming. 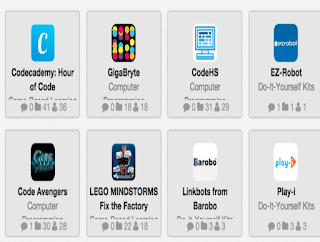 Here are some resources to help students learn how to program. From the creators of Scratch at MIT comes an iOS & Android tablet app for 5-7 year olds. Build mobile or desktop software with this Windows & Mac program using a drag & drop interface. Combines the fun of playing with LEGO and controlling robots into teaching basic program principles. 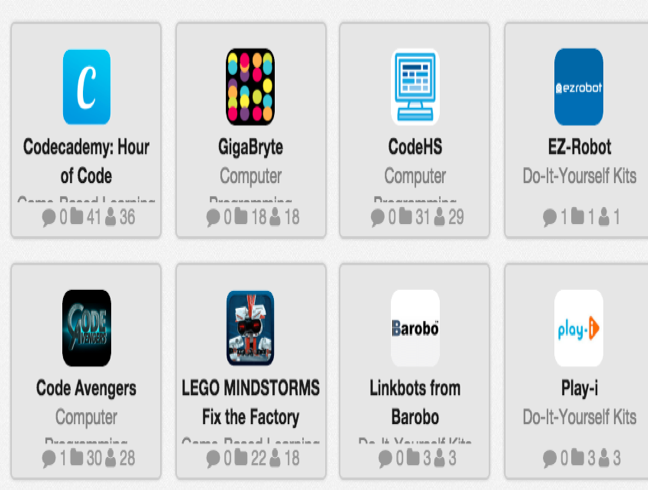 Participate in the Hour of Code by creating games, pixel art, and other digital projects with this iOS app. This curated by gifted and talented coordinator Haleh Agar. This one is curated by technology integration specialist Michael Fricano II.